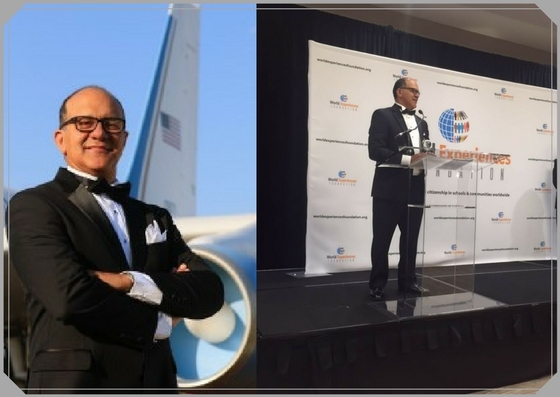 Venesco employee Dr. Eduard Ricaurte received WEF’s Global Citizen Award in STEM at the 2017 Global Citizen Awards Gala. Aerospace Medical Research Scientist Dr. Ricaurte was born in Cartagena, Colombia, South America and graduated from the School of Medicine, University of Cartagena in 1989. 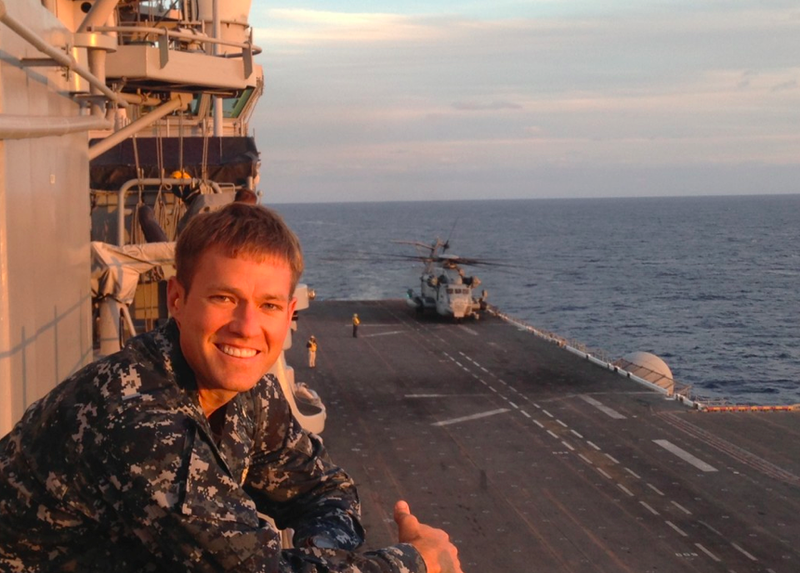 He completed his internship at the Cartagena’s Navy Hospital. His interest in aviation medicine began in 1990, while he was working as the Manager of Health Programs for the Colombian Civil Air Patrol. In 1992, he completed his training in aviation medicine at the National University in Bogotá, Colombia. In 1996, Dr. Ricaurte went to the Federal Aviation Administration, Civil Aerospace Medical Institute in Oklahoma City, to receive his post-graduate training in Aviation Medicine and Aircraft Accident Investigation. He is currently supporting the Federal Aviation Administration Civil Aerospace Medical Institute (CAMI) Safety Risk Management, for projects assigned through the Operational Analysis Program Directive to CAMI. His duties include the support of projects for safety risk management (SRM) to evaluate aeromedical certification criteria and policy development in pilots with previously identified medical conditions. Dr. Ricaurte has served as a member and officer of the Aerospace Medical Association (AsMA), is an accomplished author of scientific articles and book chapters and has been an active guest speaker in aviation-related injury mechanism analysis, aviation medicine, human factors and aviation safety at various national and international meetings. Dr. Ricaurte takes the stage to accept the coveted WEF Global Citizen Award in STEM. Katy Margeson, MS/ATC/LAT is a contracted Certified Athletic Trainer employed by Venesco, LLC currently working at Fort Benning, Georgia. 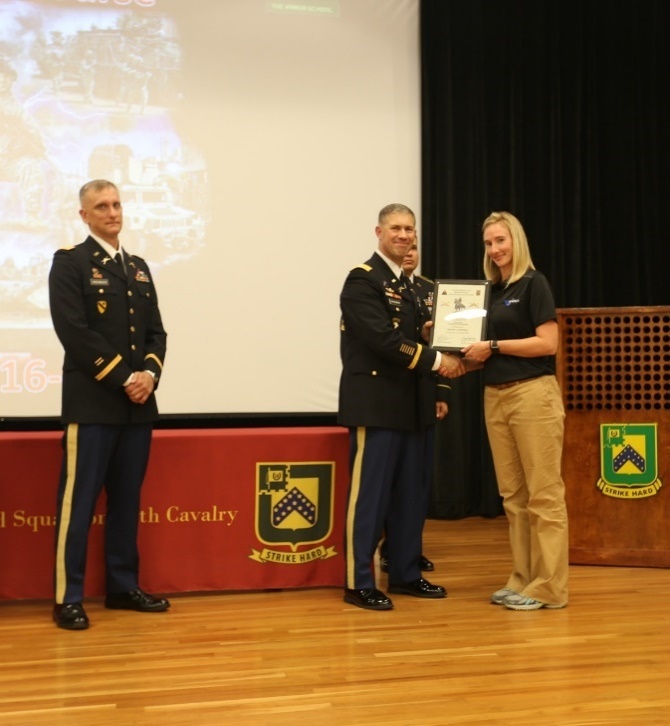 She started at Fort Benning on Aug 1, 2016 and works within 199th Infantry Brigade, primarily with 2-16 Cav. She works with cadre and Lieutenants Training in Armor Basic Officer Leadership Course (ABOLC) while providing injury prevention education, treatment, and evaluation of acute and chronic injuries, performs FMS assessments, and has been working closely with pre-ranger platoon preparing them for Ranger school. Katy has been selected for two Civilian of the Cycle awards within just a 9-month period due to her stellar performance and professionalism. 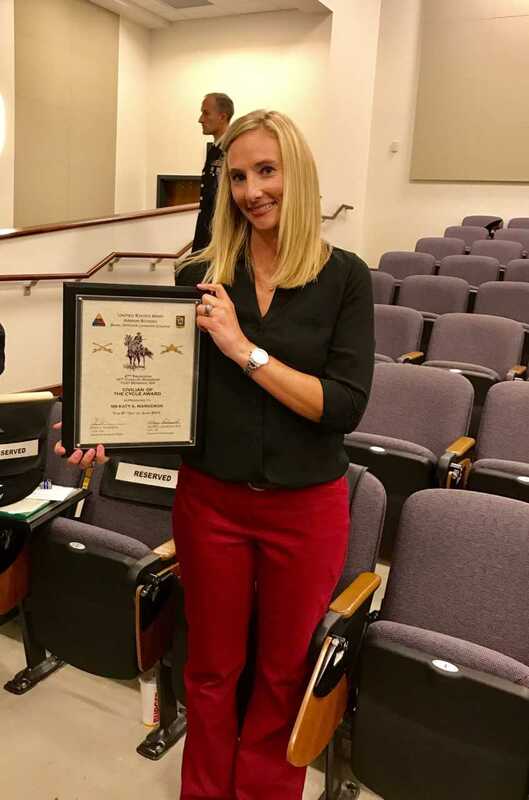 Taken October 25th, 2016, Katy is pictured receiving the Civilian of the Cycle award, chosen by the LTs of Class 16-007 and presented by COL Freeman and LTC Franz Rademacher, 2-16 Squadron commander. Katy is pictured with her second award after she was voted Civilian of the Cycle for 17-003 on 06 June 2017. The award was presented by graduation speaker Col Thomas M. Felty, current 316 BDE commander. Certified Athletic Trainers employed by Venesco, LLC were awarded a Certification of Appreciation in March of 2017. Presented by the US Army Bravo Company, 2nd Battalion, 10th Infantry Regiment at Fort Leonard Wood, Missouri, this certificate recognizes their exceptionally meritorious achievement and performance in supporting the unit’s mission to execute Basic Combat Training where leaders transform civilian volunteers into adaptable, physically prepared Soldiers trained in core military skills capable of contributing as effective team members. 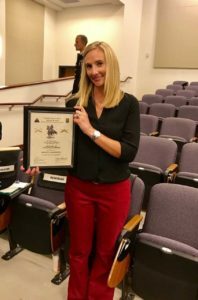 Team member Jamie Smith, MS, LAT, ATC, is pictured above with the Athletic Training Team’s Certificate of Appreciation. 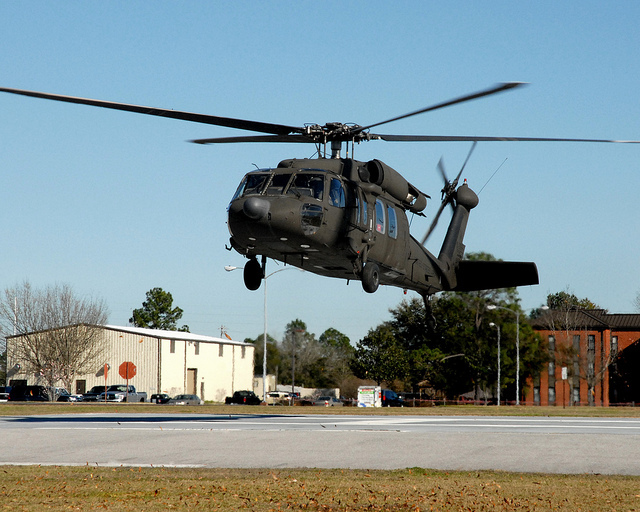 Venesco is pleased to announce the contract award for the U.S. Army Aeromedical Research Laboratory (USAARL) located in Fort Rucker, AL. The mission of USAARL is to provide aeromedical research in the military operations environment to sustain Warfighter’s performance by delivering medical research, developing, testing, and evaluating solutions to air and ground Warriors. USAARL applies its medical, psychological, and physiological knowledge and skills to optimize systems for the U.S. Army Warfighter. Mission goals include protection of aircrew from impact related injury during aircraft mishaps to prevent mishaps from occurring by providing pilots with accurate sensory information. Venesco provides critical software engineering, data analysis, and test and evaluation support to assist USAARL Investigators with tactile cueing systems that includes in-flight and ground-based testing, systems integration, and hardware systems procurement to accomplish research goals. Venesco is honored to support the continuing USAARL mission. To learn more, please contact Ben Guthrie at bguthrie@venesco.com. 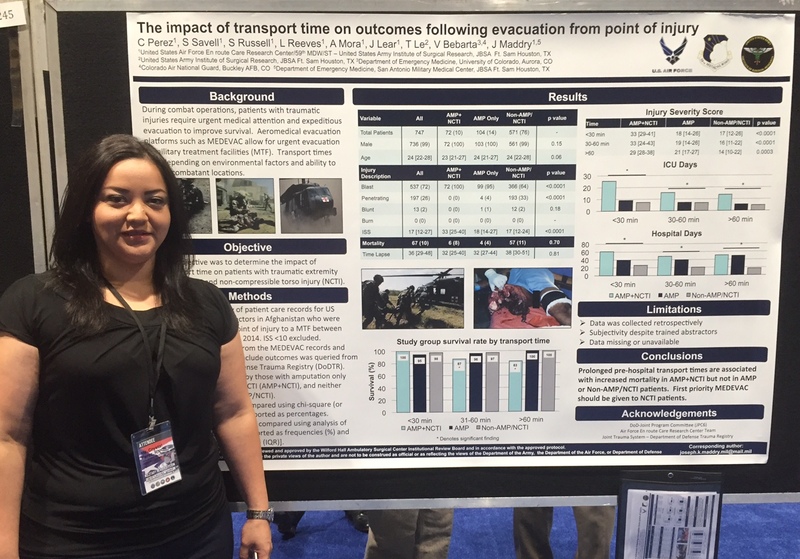 Senior Research Nurse and Venesco employee Crystal Perez from USAF en Route Care Research Center presented a poster titled, “The Impact of Transport Time on Outcomes Following Evacuation from the Point of Injury” at the 2016 Military Health System Research Symposium. 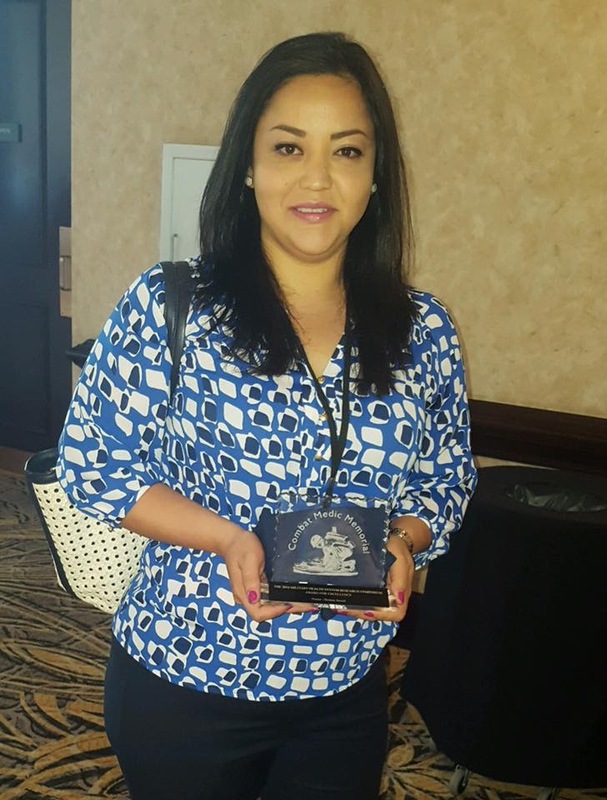 With the help of principal investigator Maj Joseph Maddry, MD, Perez’s team’s poster placed 3rd, and she took home the bronze excellence award for their incredible work. Perez’s study came from a call to fill the gap in research related to how transport time (i.e., the length of time from injury to a military treatment facility) can impact patient outcomes. The basis for the study is a retrospective review of MEDEVAC records for US military members injured and evacuated between 2011 and 2014. 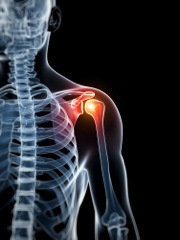 For this study, she chose to focus on patients with Amputations and Non-Compressible Torso Injury (AMP+NCTI). The Department of Defense Trauma Registry provided a patient list as well as outcome data. The results of the study showed that even the most severely injury patients (those with AMP+NCTI and a high Injury Severity Score) showed a high survival rate (100%) if they were transported in less than 30 minutes. Beyond 30 minutes, survival drops to as low as 83%. In contrast, patients with amputation only and all other injuries showed a similar survival rate regardless of the transport time. Thus, first priority MEDEVAC should be given to NCTI patients. The Military Health System Symposium is the Defense Department’s premier scientific meeting. Venesco is honored to participate in this prestigious event and proud of the accomplishments of all those who took part. 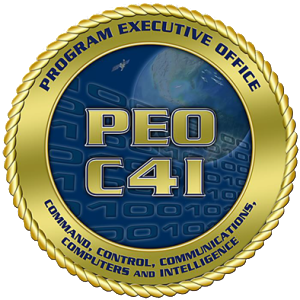 Venesco is pleased to announce a contract award for the Program Executive Office for Command, Control, Communications, Computers and Intelligence (PEO C4I), Command and Control Systems Program Office (PMW 150), with an overall value of $5 million. The mission of this program is to innovate and meet operational requirements with relevant capabilities, allowing the warfighter to maintain C4I superiority. The equipment utilized in this contract will support the Link Monitoring and Management Tool (LMMT). LMMT provides timely, positive, monitoring and management of Technical Data Link (TDL) networks critical for the execution of command and control, and is the means by which an operational commander synchronizes and integrates force activities to achieve unity of effort. Venesco will help provide worldwide support at ground-based and maritime-based operational facilities. Venesco was recently awarded the Centers for Disease Control and Prevention (CDC) Domestic Professional, Technical, Administrative, and Medical Support Services (DPSMSS) contract. Venesco will provide the CDC with services for a variety of tasks, studies, and projects. These services include professional and technical support, medical and scientific research and development, and general administrative support. In addition to servicing the CDC, the services ordered under this contract will service the Global Aids Program (GAP) Center for Global Health (CGH) to provide for domestic services in support of international activities. Team members will consist of industry-leading administrative and general managers, as well as renowned experts in research and development in the physical, engineering, and life sciences. To learn more, please contact Mr. Ben Guthrie at bguthrie@venesco.com. 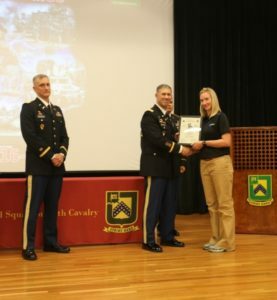 Venesco is a prime awardee resulting from a competitive 8(a) bid for the U.S. Army Athletic Trainer (AT) Services in support of forward musculoskeletal care and initial military training (IMT) support. The U.S. Army has implemented the forward musculoskeletal care program to recruits in Basic Combat Training (BCT) after it was reported that Soldiers in BCT have the highest incidence of musculoskeletal injuries of any subgroup within the U.S. Army. As a result of this finding, this $12 million single award contract allows Venesco to provide healthcare providers, ATs and physical therapists to military treatment facilities (MTFs), troop medical, and physical therapy clinics. 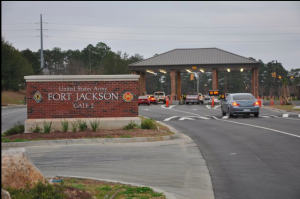 Locations include Fort Jackson, South Carolina; Fort Leonard Wood, Missouri; Fort Sill, Oklahoma; and Fort Benning, Georgia. These services will be provided directly to the Initial Entry Training (IET) units within the IMT environment. Providing these vital forward musculoskeletal care services in the training environment minimizes lost training time, prevents, and ensures early identification of injuries for new Soldiers. This increases the likelihood of timely graduation from BCT and raises the overall quality of trainees merging into the U.S. Army. Venesco is thrilled to support U.S. Army Soldiers by providing top-tier AT professionals to prevent injuries before they occur and optimize physical performance. Venesco is a prime awardee of the U.S. Army Medical Research Institute of Infectious Diseases (USAMRIID) RDSS IDIQ support service contract with an aggregate ceiling of $249 million. The government selected Venesco for this project out of 14 bids received. This five-year, multiple award contract provides direct support to USAMRIID, other USAMRMC subordinate laboratories, and premier Federal research laboratories. The USAMRIID RDSS IDIQ contract provides key areas of scientific, technical, and administrative support. Venesco will assist in research and development (R&D);research, development, and acquisition (RDA) program management; medical logistics; regulatory compliance; financial management; biological surety and safety;biosafety level (BSL) 3 and 4 operations; and information management information technology (IM/IT). Venesco is thrilled to be an integral and active member to the Fort Detrick, USAMRMC, and biodefense business community. Dr. Sarah Cunningham is the Program Manager for the Population Health Program at Naval Medical Center San Diego. What has been a major milestone for you while working at Venesco? Learning how to effectively manage a team of experts all from completely different industries, keeping them motivated in a complex and fast-paced environment while working remote. Realizing that the leadership I am providing to our team of experts extends to a sphere much larger than myself. It has been an enlightening milestone to realize, internalize, and behave from the realization that my job as a leader has nothing to do with me, it is about others, the organization, the goals of the organization, the customers and stakeholders, and the communities in which we live and lead! Realizing this milestone instills a sense of pride in my work to always give 110% no matter how minuscule the task. What do you enjoy most about your current position? Working with the amazing Venesco employees! Not only my direct reports (they are all overwhelmingly incredible and teach me something new everyday), but also working for leaders at Venesco who genuinely care and will work overtime to ensure our project is supported with whatever we need. What’s a fun fact your co-workers don’t know about you? I was offered a full scholarship to Brown for golf but turned it down to row on the crew team (D1) at WVU! 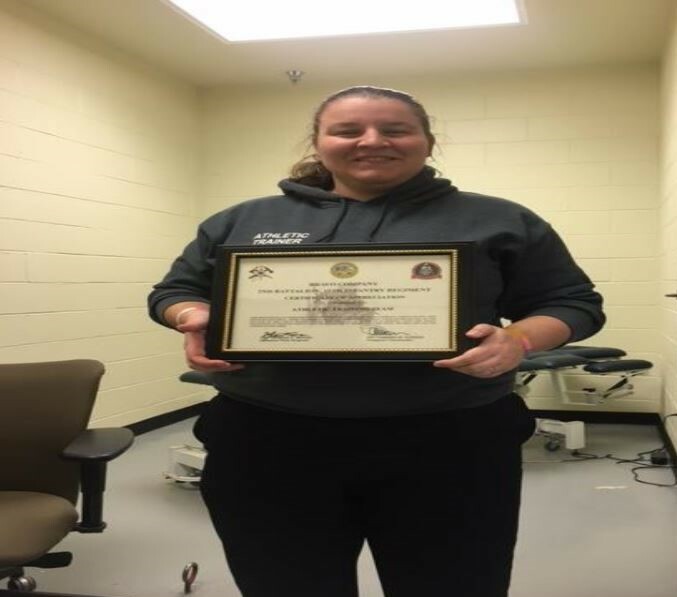 Dr. Sarah Cunningham received her bachelor’s degree in exercise physiology from West Virginia University with a minor in gerontology. 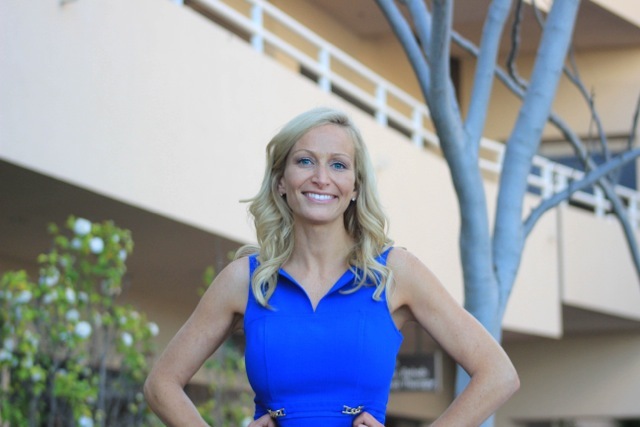 Dr. Cunningham then obtained her master’s and doctorate from the University of Southern California (USC) with a specialization in Lifestyle Redesign®, exclusive to USC. Sarah has been an American Council on Exercise and an American College of Sports Medicine certified personal trainer since 1999. Sarah is also a Certified Diabetes Educator. She worked as a Global Corporate Wellness Director for a government contractor for 10 years traveling both CONUS and OCONUS to military bases, providing health promotion intervention to patients on site. Sarah spent 2 years as Wellness Director for a well renowned start-up (Sonima Wellness) helping to build their online platform and brick and mortar business from the ground up. Dr. Cunningham has been a regular contributor to several lifestyle medicine publications (Harvard’s Healthbeat, The Mayo Clinic, WELCOA, MFA) and is an enthusiastic hiker! In addition to her role with the Venesco, Sarah volunteers as an advisor for the NikeGo program. 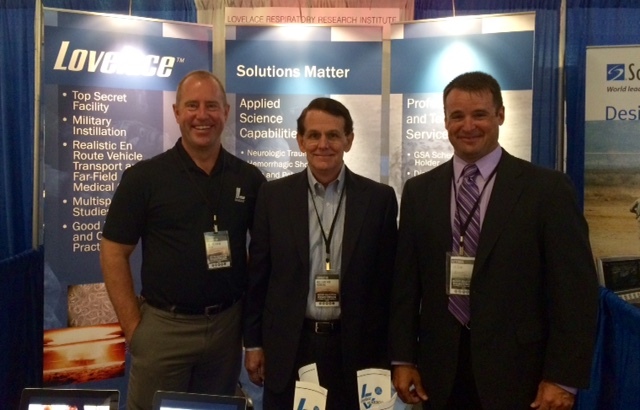 More than 500 defense, cyber, life science, and technology leaders converged in Frederick, MD for the 2015 SMART PROC. 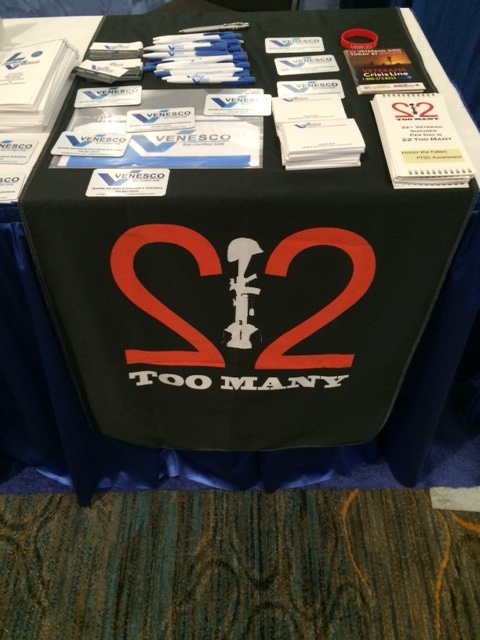 Venesco was excited to exhibit at this industry-leading event. The one-day event offers valuable insights from Senior Program Managers and Acquisition Executives from the Department of Defense, National Security Agency, Department of Homeland Security, Department of Commerce, National Cancer Institute, US National Institutes of Health, and US Army Medical Command. Additional speakers included procurement experts in government, business, and academia that will benefit industry partners. Especially small businesses, 8(a) owned concerns, and businesses run by service-disabled veterans. Other topics included capture management best practices, subcontracting, cyber security, intelligence, defense, health care, biomedical research, and how to succeed in an austere federal budget environment. In addition to other key Fort Detrick leaders, we had a special VIP visit to our booth. 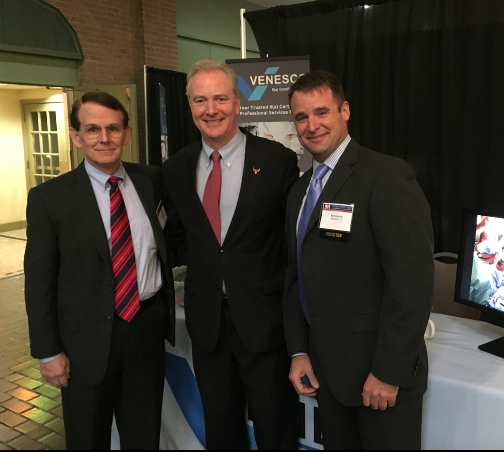 Congressman Chris Van Hollen, US Representative for Maryland’s 8th Congressional District. 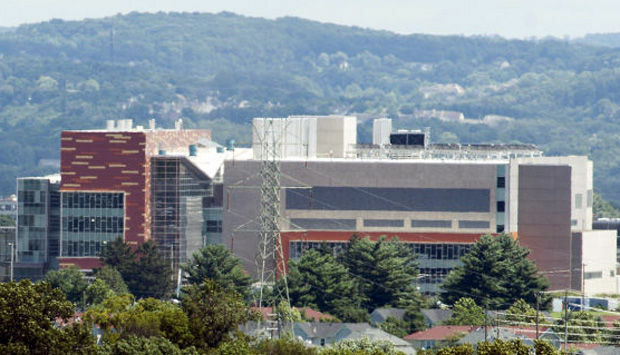 Venesco is thrilled to be part of the Fort Detrick business community by promoting technical enterprise, building stronger relationships, and discussing upcoming procurement forecasts among industry, community, government, and academia. Venesco was selected to provide the Defense and Veterans Brain Injury Center (DVBIC) a clinical evaluation of the progressive return to activity tool. Venesco is poised to help augment DVBIC’s mission to investigate and research traumatic brain injuries (TBI) through state-of-the-art clinical care, innovative clinical research initiatives, educational programs, and support for force health protection. DVBIC fulfills this mission through ongoing collaboration with the Department of Defense Services, Department of Veterans Affairs, civilian health partners, local communities, families and individuals suffering from TBI. Venesco will assist DVBIC project investigators in recommending standardized guidance reducing persistent symptom occurrences, evaluating effectiveness of therapies to improve quality of life, and evaluate clinical and educational tools in military treatment facilities. Venesco provides quality services and innovative solutions. To learn more click here. Venesco fosters a culture in which employees are encouraged to be healthy, happy, active, and give back to the community. And at Venesco, our leadership leads by example. On October 17, Venesco’s Vice President, Ben Guthrie competed in the Ironman Maryland. The race consisted of a 2.4-mile swim, a 112-mile bike ride and 26.2-mile marathon, he completed the race in 11 hours, 48 minutes, and 30 seconds. 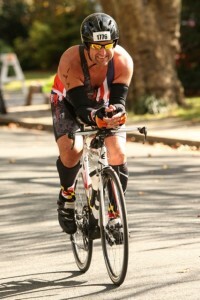 Guthrie has been on the road for business most of his training, which required him to run, swim, and bike in different facilities throughout the US. 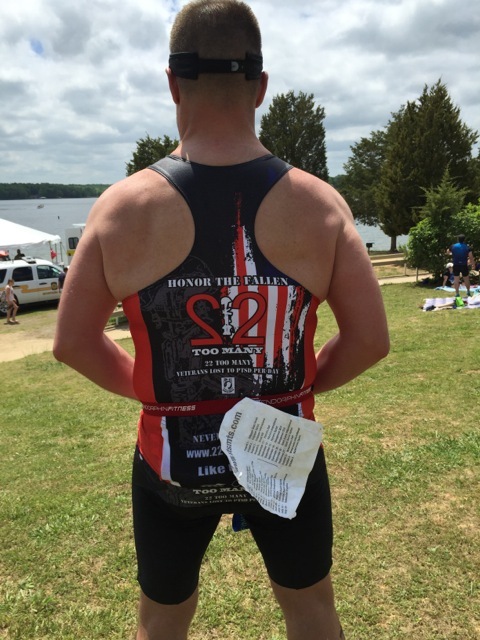 During the event, Guthrie supported 22 Too Many, a non-profit committed to honoring veterans and active duty military who have died by suicide due to a PTS (post-traumatic stress) related tragedy. Every day, approximately 22 veterans take their own lives, according to a report released by the Department of Veteran Affairs. 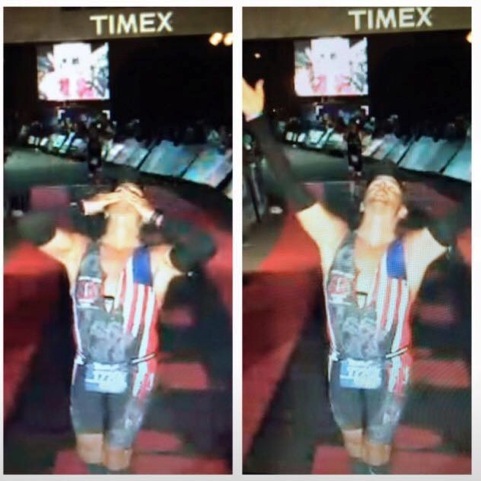 And for his first Ironman, Guthrie is dedicating this event to the memory of the fallen, who have taken their own lives much too early. Guthrie’s exemplary leadership displayed through his perseverance, discipline, and dedication, all while having fun, is an inspiration that transcends and motivates throughout the Venesco family. He recently signed up for his second Ironman, which takes place in Summer 2016; training starts next month. To learn more about career opportunities at Venesco, click here. 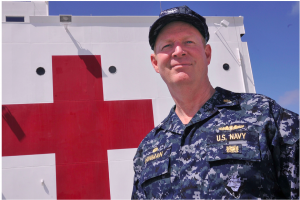 Venesco was selected to provide the Behavioral Health Integration Program (BHIP) services throughout the U.S. Navy’s Medical Home Ports, U.S. Marine Corps Marine Centered Medical Homes, and the U.S. Navy Fleet Centered Medical Homes. Venesco provides senior level consultation, program evaluation, and decision modeling support on this critical care-centered program. 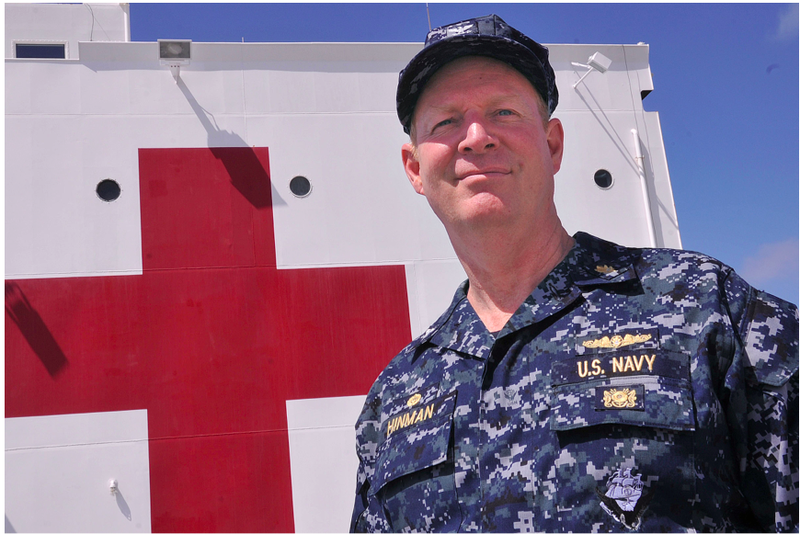 Venesco will support BUMED in all key mission areas including: mental health assessments of Sailors and Marines, improve and recommend the need for better mental health services, and shift mental health to primary clinical care settings. 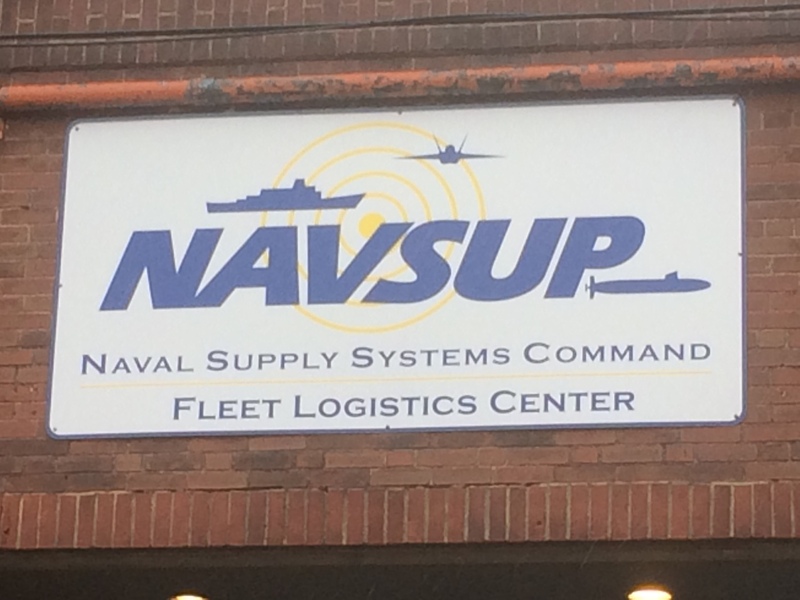 Venesco had the privilege of meeting with the NAVSUP FLC Small Business Office in expanding our relationship and support to the Fleet and Warfighter at home and abroad. 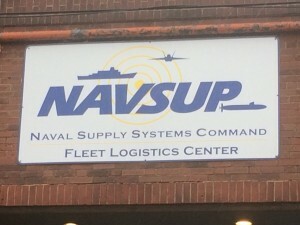 NAVSUP FLC’s mission is to provide an operationally ready, secure infrastructure built upon a streamlined shore installation management organization. NAVSUP FLC executes their mission along three main business lines – Weapon Systems Support, Global Logistics Support, and Sailor and Family Support – playing a key role in maintaining Warfighter readiness and improving the quality of life for our Sailors and their families. 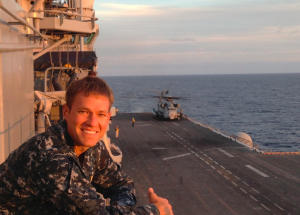 Venesco has active contracts supporting the NAVSUP FLC mission area of Sailor and Family Support through our comprehensive U.S. Navy Behavioral Health Integration Program. 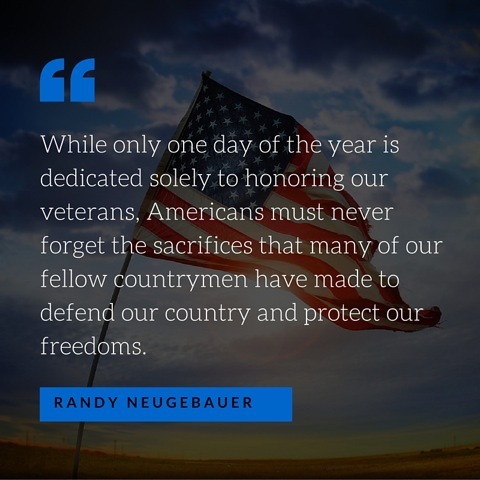 This is just one of many ways we are dedicated to supporting the warfighter, military beneficiaries and service families. 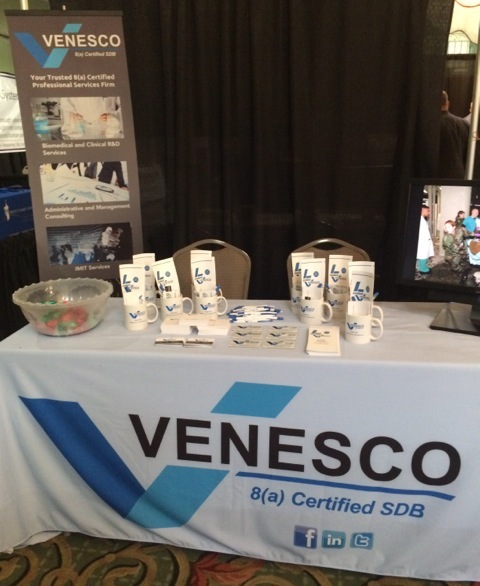 Venesco had the privilege of attending the US Army HR Solutions Industry Day, hosted by the US Army Contracting Command, Fort Dix, NJ. 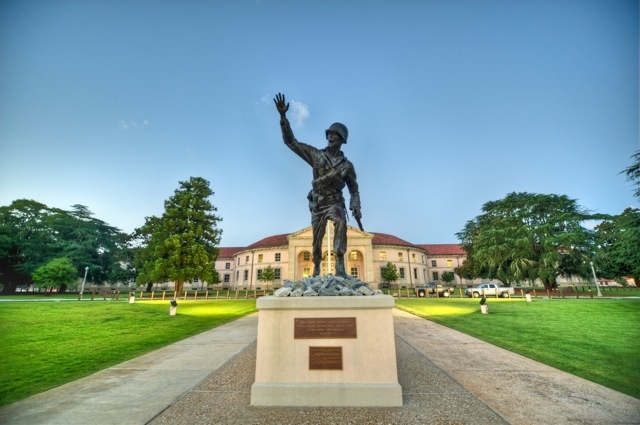 The HR Solutions program management office streamlines the acquisition of human resource services for the Army through a competitive, efficient, standardized, and well-managed process. Venesco is preparing for the HR Solutions Next Generation contract with anticipated solicitation release in second quarter of next fiscal year. 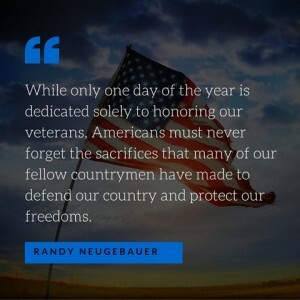 Another example in how we are positioning our company to support the warfighter, military beneficiaries and service families. 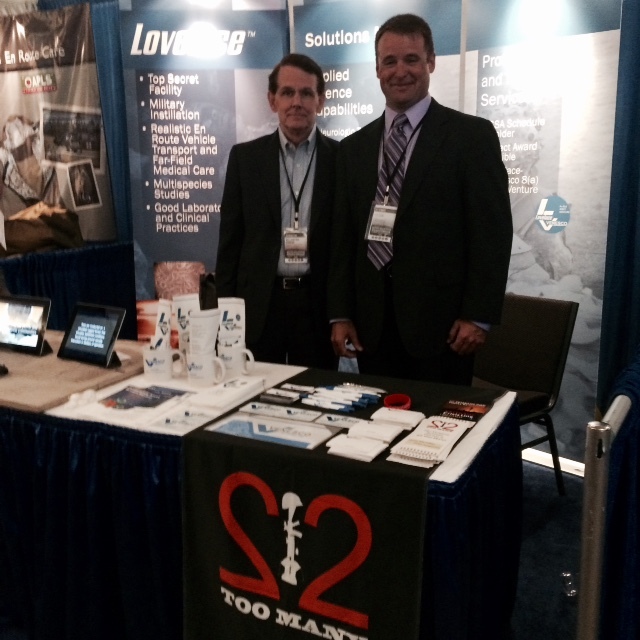 We were thrilled to exhibit at the 2015 ‪#‎MHSRS‬ Conference. We look forward to supporting MHSRS’s mission and will continue to work towards collaborative partnerships, precision medicine, combating antibiotic resistance, regenerative medicine manufacturing, and more. 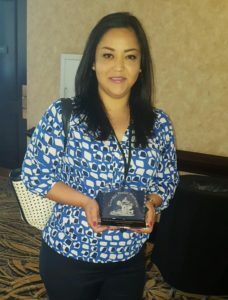 Highlights from the 2015 Symposium included a poster presentation from Venesco employee, Crystal Perez, RN Research Nurse with the USAF En Route Care Research Center. 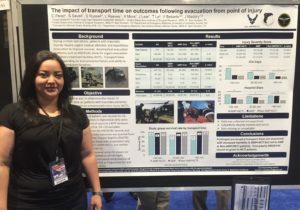 Perez’s poster was titled “Analysis of MEDEVAC Providers and Procedures Performed En Route from Point of Injury to a Military Treatment Facility in Combat.” This poster is a follow up on a poster, Perez presented July 24, at the SURF conference entitled, “Pre-hospital En route Care and Life-Saving Interventions of Traumatically Injured Combat Patients Transported by MEDEVAC from the Point of Injury. The symposium will be held from 17 – 20 August 2015 at the Marriott Harbor Beach Resort, Fort Lauderdale, Florida. 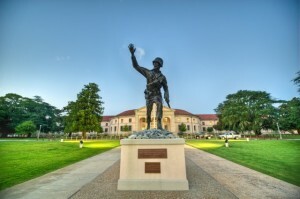 The conference will feature over 250 scientific and plenary presentations and 750 poster displays spread over three poster sessions focused specifically on the unique medical needs of the Warfighter. 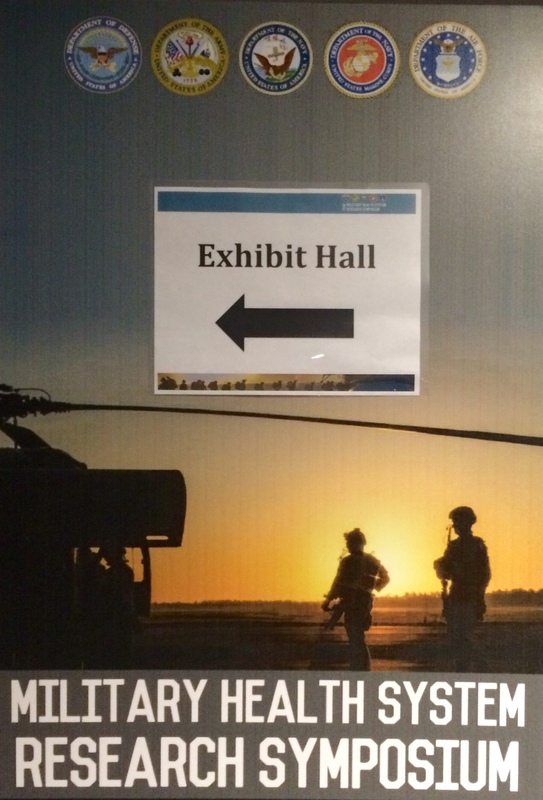 This year MHSRS will test the “track” concept, which features in-depth presentations in a specific topic area relevant to the Warfighter. The track topic for 2015 is Infectious Disease. Five breakout sessions through the week will focus on hot topics within this area. In addition, Continuing Medical Education offerings will be offered in four categories — physicians, nurses, psychologists, and laboratory technicians. Come visit us at the Venesco booth located in the main exhibit hall.